Tonight’s guest blog post, on the topic of genres, is brought to you by Canada-based author and interviewee Alison Bruce. What does a historical western romance have in common with a science fiction detective mystery? The author. Under A Texas Star is a mystery / romance set in the old west. Deadly Legacy is a detective series set in the near future. 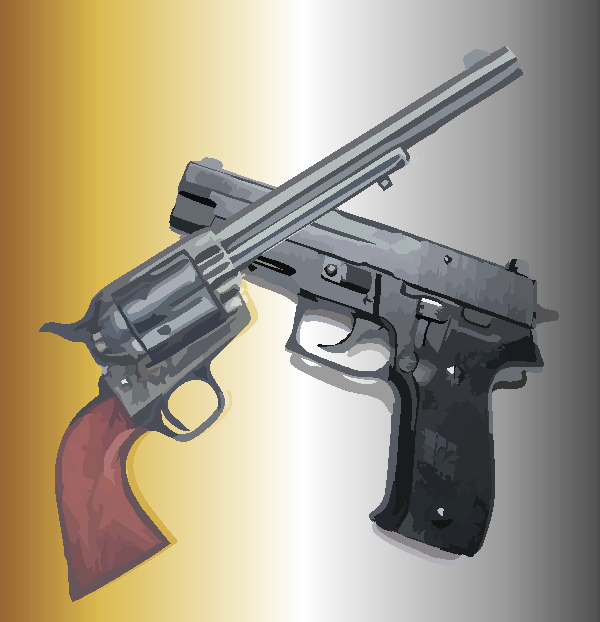 Instead of crossed swords, a Colt 45 and Sig Sauer pistol should be mounted over my mantle, except we have laws against that in Canada. And I don’t have a mantle. I used to describe myself as a mystery / western / science fiction / fantasy / romance author. Too big a mouthful. Now, if asked, I call myself a genre novelist. Genres have rules. I like that. A romance has to involve both partners throughout the story, and it should have a Happily Ever After – or at least a Happily For Now – ending. 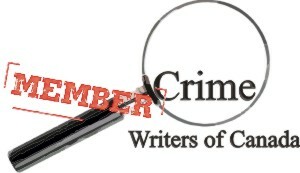 A mystery must present the necessary clues for the reader to be able to solve the crime with the detective. Suspense doesn’t need to follow the fair game rule, but it does have to have a sense of urgency. The clock must be ticking. I just came across Copernicus’ Law of Science Fiction. (Copernicus being the screen name of an astrophysicist who does reviews.) “Bending the laws of physics out of service to the story is fine, doing it out of ignorance is unconscionable.” You can have faster than light travel, but you better know how fast light is. Fantasy has rules, conventions and traditions to uphold. You can break the rules, or make up your own set, but if you want your reader to suspend their disbelief, you can’t trip them up on logical inconsistencies. I enjoy the rules that genres impose. I revel in working out the puzzle of a mystery. Some people like crosswords, I like crossed lovers and finding the right balance of romance and adventure. I’m a research addict, so getting historical and technical details for my stories is a (usually) pleasant challenge. As for world building… whether it’s laying out a map of a fictional western town or extrapolating a near future city, I love it. Most of all, I like bending the rules and blending the genres. Me too. That was great, thank you, Alison! Copywriter and editor since 1992, Alison Bruce has also been a comic book store manager, small press publisher and web designer. 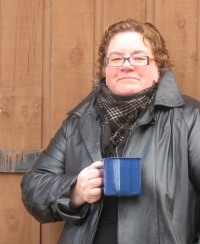 She currently manages publications for Crime Writers Canada and is the author of Deadly Legacy and Under A Texas Star. Her protagonists are marked by their strength of character, the ability to adapt (sooner or later) to new situations and to learn from adversity. Deadly Legacy is available in Kindle and paperback formats at: Amazon.co.uk, Amazon.com and Amazon.ca. Under A Texas Star is available in Kindle and paperback formats at: Amazon.co.uk, Amazon.com and Amazon.ca. The blog interviews return as normal tomorrow morning with horror, humour and steampunk, with just the occasional shot of erotica, writer Tonia Brown – the four hundred and twenty-ninth of my blog interviews with novelists, poets, short story authors, bloggers, autobiographers and more. A list of interviewees (blogged and scheduled) can be found here. If you like what you read, please do go and investigate further. And I enjoy hearing from readers of my blog; do either leave a comment on the relevant interview (the interviewees love to hear from you too!) and / or email me. You make everything so lovely looking, Morgen. Thanks for inviting me! Such a good post, Alison – I hadn’t thought about the rules of genre. Enlightening and fun! As a genre blender myself, Alison, it’s always great to come across a kindred spirit. Great post – spot on! Thanks Dave. I think there’s more of us genre blenders out there than there used to be. We’re coming out of the proverbial closet.